Biolage R.A.W. Nourish Shampoo is rated 3.5 out of 5 by 16. 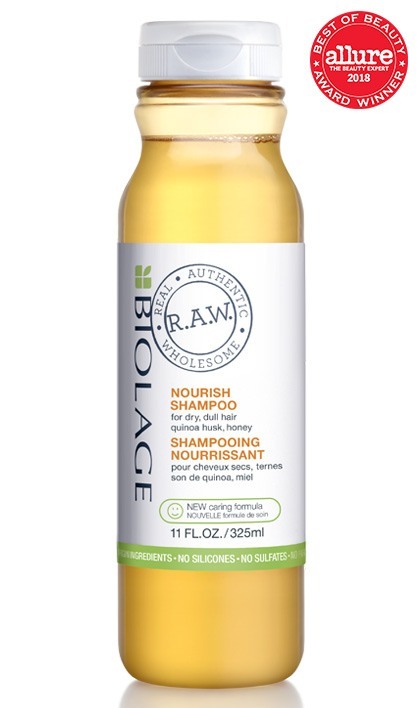 Share https://www.matrix.com/biolage/raw/raw-products/nourish/raw-nourish-shampoo R.A.W. Nourish Shampoo for Dry, Dull Hairhttps://www.matrix.com/~/media/images/product-images/biolage/biolageraw/nourish/biolage_raw_nourish_shampoo_allure_award.jpg Transforms dry, dull hair into healthy-looking, soft locks with quinoa husk and honey. Biolage R.A.W. Nourish Shampoo has an improved formula with natural-origin emollients from sources such as coconut. Nourish Shampoo Formula with quinoa husk and honey, feeds dry, dull hair for healthy-looking, softer locks. PROFESSIONAL BY NATURE. Biolage has crafted potent formulas from natural origin for uncompromised, healthy-hair results. HONEST BY CHOICE. Biolage R.A.W. is Real, Authentic, Wholesome. 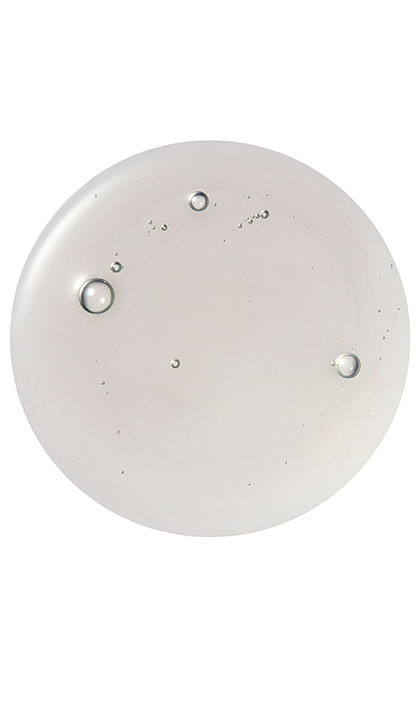 Aqua/Water/Eau, Decyl Glucoside, Sodium Lauroyl Methyl Isethionate, Glyceryl Oleate, Cocamide Mipa, Citric Acid, Parfum/Fragrance, Hydroxypropyl Guar Hydroxypropyltrimonium Chloride, Sclerotium Gum, Sodium Benzoate, Salicylic Acid, Trisodium Ethylenediamine Disuccinate, Sodium Lauroyl Sarcosinate, Glycerin, Hydroxycitronellal, Linalool, Coumarin, Hydrogenated Palm Glycerides Citrate, Lycium Barbarum Fruit Extract, Yucca Glauca Root Extract, Lecithin, Lactic Acid. Apply to wet hair with a massaging motion. Follow with Biolage R.A.W. Nourish Conditioner for best results. Rated 1 out of 5 by May9 from Strong smell I did not like the shampoo. The fragrant smell is very strong and also smells synthetic. My hair did not feel clean after washing it with the shampoo. I will not continue using it. Rated 4 out of 5 by Frenchie from Light and soft shampoo with light fresh scent I bought this with the whole raw nourish system (shampoo, conditioner, curl defining butter). My hair is 2b-c, medium thick, untreated. I live in Florida and could not control the frizz. My fair looked lifeless, dry at the ends, not smooth but not truly defines waves neither. The system allowed me to fix that, and it looks much healthier now. The first day my hair is much curlier than usual. However, the next day my hair is suppler frizzy and sticky. although I love the scent and the lightness of the shampoo, it is not strong enough to clean the defining butter, which I would recommend only for truly curly hair. The shampoo alone (compared to before) makes my hair feel less sleek in the shower, which is a tell-take of coming frizz, but I guess that’s the price to pay for paraben and sulfate free products in Humid regions. It takes a lot of conditioner to get a soft mane, still frizzy if let to air dry as is. I tried exchanging the butter for the hydrasource leave-in gel and although I feel less sticky, it also only works a few hours then frizz comes back; also it feels much more chemically loaded. Rated 5 out of 5 by butzlstutzl from best curls ever biolage raw shampoo and conditioner was recommended to me by my hair stylist. since then I've been using it and my curls are heavyless and shiny. my hair feel clean and smell like summer. I order the big bottles on the internet to refill my original bottles. this is cheaper than buying small bottles in the shop. thumbs up for these two products! thanks matrix! Rated 5 out of 5 by Kelly4uau from Biolage raw nourish I love Love this shampoo an conditioner,have used it twice now an makes my hair feel great,shampoo is also a little like water be careful,makes it feel a little straw feeling but once you put the conditioner through feels amazing.please bring more styling product out in this range an maybe bring it out in larger bottles. Rated 1 out of 5 by AimeeB from Terrible for Dry, Curly Hair Another shampoo and conditioner set that I spent way too much money for. Like other customers, my hair was like straw--crispy and without moisture. There was so much breakage that followed. Please don't say that I should have followed it up with the conditioner when I used both products. Not impressed. Rated 4 out of 5 by Natural Girl from Great, but STINKY! I used this shampoo with Hair La Vie hair masque (amazing masque) and I got the softest hair ever. I couldn't stop playing with it! Problem is, it smells like a big bottle of stinky perfume. Matrix, PLEASE get rid of the "fragrance." Natural products should smell natural, not like perfume! The smell nauseates me, but I am trying to deal with it so that I can get that super soft feel. Rated 5 out of 5 by Jackie21 from Takes a couple times of use, don't give up! The first time I used it my hair felt like a tangled mess and couldn't get the shampoo through my hair and I was going to take it right back then I tried again with great results! I realized it was removing all the build up from other conditioners and styling products, I used to see a lot of hair in the drain but not with this! I will try the other formulas too!